Congratulations to you all on your well-deserved achievement! These members have worked hard on their TEAP portfolio as part of their CPD and commitment to EAP. 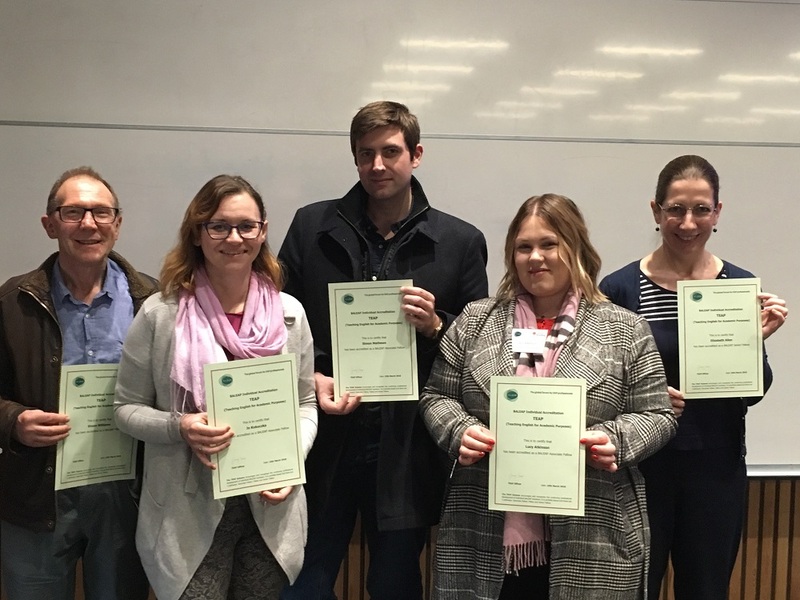 Five of our nine new BALEAP Fellows came to the AGM at Reading on Saturday to receive their certificates. L to R: Simon Williams (Sussex), Jo Kukuczka (Northampton), Simon Mathews (Northampton), Lucy Atkinson (Northampton) and Elizabeth Allen (Bristol). Congratulations all of you on a well-deserved achievement!